You will be expected to show a real commitment to and enthusiasm for this subject. A lively interest in colour, surface, texture and drawing should be displayed, with a developed understanding of contemporary textiles and their usage. A general awareness of contemporary art and design is also desirable. We look for enthusiasm, creativity and a fascination with all things fabric, together with a willingness to learn and to engage with others. Evidence of a love for colour, pattern, texture and drawing, your portfolio might include the following; textual surfaces, colour photography, paper and fabric construction and experimentation. Your portfolio should show examples of drawing and sketchbooks which demonstrate good use of colour and mixed media. Evidence of textile work is an advantage but not a necessity as we teach all the fundamental requirements of the discipline during the first year. Drawing skills such as; mark making, colour collage and manipulation of surface design are also preferred. Textiles work from previous study is good, although not necessary, your ability to apply your experience from other disciplines is just as important. 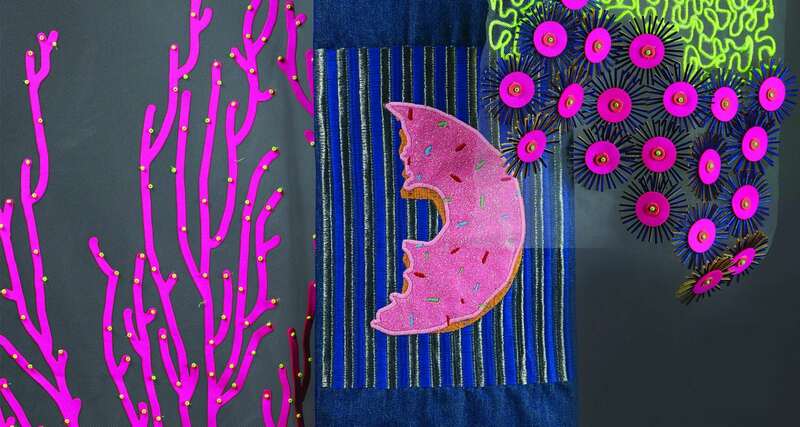 You can download our portfolio guidelines for BA (Hons)Textiles for further guidance.